There are few blows in life like getting fired, laid off, sacked, or otherwise let go. Divorce, death of a loved one, and forced immigration are just about the only things in life that stress us more than loss of a job. Losing a job can prompt depression and anxiety: two emotional sensations that make it difficult to make thoughtful decisions. Being suddenly unemployed is also a big blog to confidence, making it even harder to bounce back. All of these factors are real struggles, but they aren’t a sentence to the bread line. There are good ways to get back to work fast. And who knows, this may actually be an opportunity to make some important changes in your life. 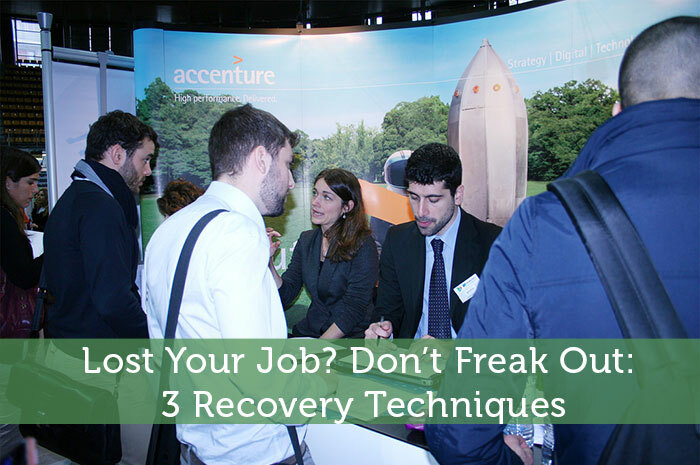 It’s time to start looking at your recent job loss as an opportunity, not a disaster. The Lateral Movement. If you have strong experience in an industry, chances are there’s another company looking for your skills. We’re living in an unprecedented talent shortage, as job creation in fast-growing industries far outpaces talent acquisition. It’s likely that your experience is needed somewhere. Armed with this knowledge, get yourself into some interviews and put your game face on! It’s a seller’s market right now (the employee is the seller in this scenario), and you can likely find a job if you are able to look for it. This will not be true in all areas of the country, but if you are able to go to where the jobs are, you will significantly increase your chances. The Whole New World. Maybe it’s time to try a new career entirely. If you’ve been burning out in the job you just lost, maybe it’s time to get a totally different kind of job. “But I don’t have the experience they’re asking for,” you moan. Don’t let that stop you. Oftentimes, those “2-4 years industry experience” you see in so many job listings isn’t actually a requirement. Job-fillers use phraseology like this to weed out candidates who wouldn’t be a good fit anyway. Many times, these jobs are entry level. People with (ideally) the experience to fill them are great. But simply having the confidence to ask for an interview is often more than enough to get you a shot at the position you desire. The Go-It-Alone. Maybe it’s time to ply your trade as a solo- or entrepreneur. The freelance industry is blooming, making it much easier for people like you to make money online using skills you already possess. Or perhaps it’s time to start a business that’s been rattling around in your head for years. In either case, loss of a job can be a great motivation to make something happen for yourself, on your own terms. Don’t let a job loss get you down. Even though it’s discouraging, there are plenty of ways to get back up on your feet in no time. Collect that severance check, binge watch some Netflix, and get back out there, tiger. We’re rooting for you!